A big Texas howdy to you! 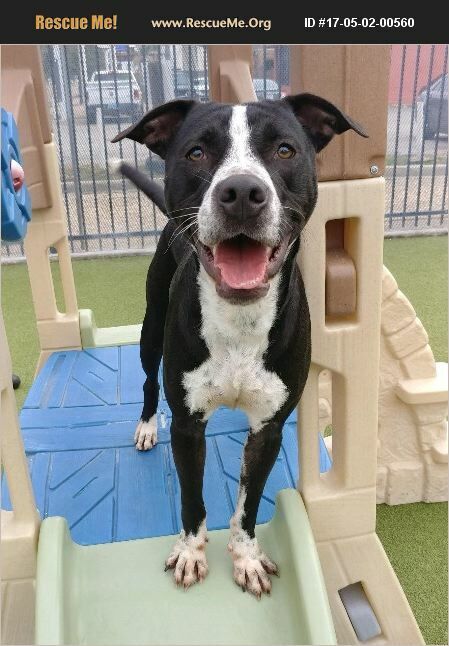 My name is Street, and I am a very sweet, loving, and playful 30-pound pit bull terrier mix fella who is mostly black with a white blaze and paws. It's hard for my foster mom to get a good photo of me -- other than a close-up of my face -- because all I want to do is cover her with puppy kisses. I'm a young guy who was born about May 2016 and dumped on the streets by my family. Fortunately, there are still kind people out there, and a Good Samaritan found me and brought me to a vet in Kingwood. One of their staff is who gave me my moniker Street, for obvious reasons. I'm so glad that I have kissed my hardscrabble beginnings goodbye. I'm safely ensconced in my foster home where I've got full food bowls, plenty of water, and lots of supervised exercise. There are even some other nice dogs for me to play with. I'd be good in a family with other dogs and kids, but I haven't been tested around cats. As much as I am grateful for my foster home, I'm eager to find my lifetime home. I hope you'll fall in love with me and come meet me. I promise that I will cover your face with my puppy kisses too. Street is updated on shots, neutered, dewormed, microchipped, and heartworm tested. His adoption fee is $150, cash or check payable to Buster's Friends. Please click the contact button if you are interested in Street, and we can arrange for you to meet him. To make the process more efficient, download the adoption application at http://www.bustersfriends.org/dogadoptionapplication.shtml. First save and then open it; then you can print it and fill it out.